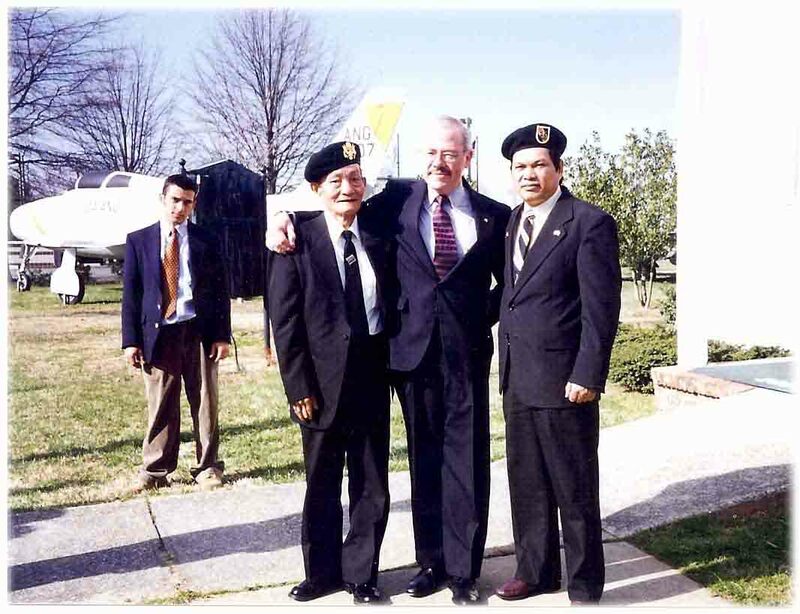 The 1997 Defense Authorization Act authorized the Secretary of Defense to compensate Vietnamese operatives who participated in specific missions (described below) during the Vietnam War. The Assistant Secretary of Defense (Force Management Policy) appointed a Commission to adjudicate the individual claims of the commandos, and tasked the Army to provide a voting member for the Commission, establish a Commission Support Staff to process and pay claims determined valid by the Commission, and to provide a Staff Director. The Secretary of the Army tasked this mission to the Deputy Under Secretary of the Army (International Affairs)(DUSA-IA). The Support Staff is a Field Operating Agency of the Army Secretariat, and reports to the Military Deputy to the DUSA-IA. The DUSA-IA is the DoD Executive Agent for providing direct support to the Commission. "to introduce these intelligence assets into North Vietnam to perform basically three missions. 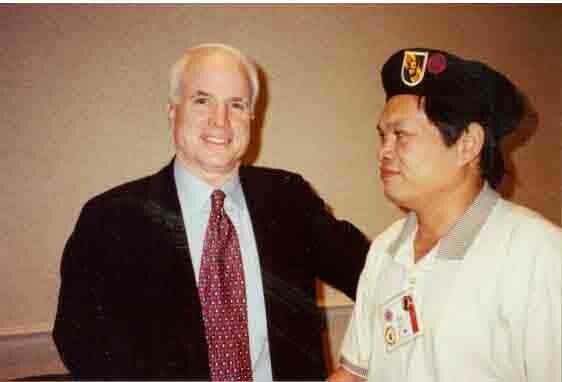 First, was to collect positive intelligence on the North Vietnamese in North Vietnam. The second was to conduct limited and very specific sabotage activities. And finally their mission would be to become a cadre for a resistance operation against the North Vietnamese communist regime." Almost all of the agents were either killed or captured by the North Vietnamese. According to an article introduced during these hearings by Sedgwick Tourison, author of Secret Army, Secret War, "[b]etween 1960 and late in 1963, roughly 250 agents sent by the CIA and South Vietnam into North Vietnam were lost…." Responsibility for the conduct of the operations transferred from the CIA to DoD in January, 1964, when the Military Assistance Command Vietnam Special Operations Group (later changed to "Studies and Observations Group")(MACVSOG) was formed. Despite signs that several of the teams were compromised/captured, DoD continued the operations under the newly formed MACVSOG. 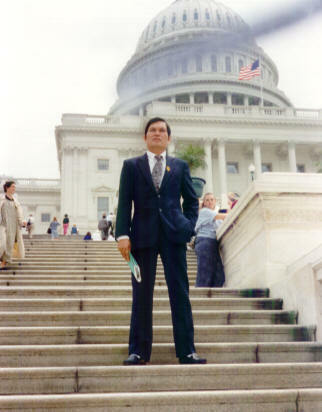 According to Mr. Tourison’s Congressional Record article, "[b]etween the spring of 1964 and October 1967, MACVSOG lost 240 more agents inside North Vietnam and scores of agents in adjacent Laos and Cambodia." None were released from North Vietnamese prison camps or reeducation centers in 1973 when known American prisoners were repatriated under the terms of the Paris Peace Accords. Another component of MACVSOG, employed American-led teams to conduct cross-border operations, primarily into Laos and along the Lao-Vietnamese border. These operations were conducted from 1965 up until 1972. The 12-man teams normally consisted of 2 or 3 Americans and 9 Vietnamese, primarily from one of the Montagnard tribes or of other minority ethnic extraction. Although these operations were much more successful, perhaps as many as 20 - 30 Vietnamese were taken prisoner by the Communists during this period. necessary technical changes to accommodate the new language. requested by February 8, 1999.
or LTC Frank Hudson, (703) 588-6570.
defined under section 3(f)(1) through 3(f)(4) of Executive Order 12866.
and as such, does not affect small entities. recordkeeping requirements under the Paperwork Reduction Act of 1995.
as it directly involves active litigation in which the U.S. is a party. Recodification of the Paperwork Reduction Act''. sector in any one year. Military personnel, Payments, Prisoners of war, Vietnam. Authority: Sec. 657, Pub. L. 104-201, 110 Stat. 2422.
part, including half-brothers and half-sisters. Sec. 270.6  Standards of eligibility. Sec. 270.11  Limitation on disbursement. Commission may, in its discretion, coordinate with other U.S.
siblings, or designated representatives of such persons. name and address of the other parent of the deceased person. death for any who are deceased. described in Part A, above, has no surviving spouse. additional proof that he has no surviving spouse. death, giving the place, date, and cause of death. the death, giving the place, date, and cause of death. that the deceased person was named as your child. government official who can attest to the adoptive relationship. generally accepted as such in the communities in which they lived. addition to the document with current name and address). unavailable, other proof of birth (e.g., passport). or affidavit to corroborate the name change. that the deceased person was named as your sibling. support a belief that a valid sibling relationship actually existed. Webmaster's Note: While the "window" for compensation application is closed, the below FAQ's may still be relevant to those seeking more information concerning how Vietnamese Commandos applied for compensation under this program. As always however, if you have other questions concerning this program (which continues to process claims already received), click on the "Feedback" link above. Q: How many Commando claims for compensation have been adjudicated? Approved 359, and Denied 838 claims (1197 total). Q: What things do you need, to make sure a claim can be approved? Q: Do I need a lawyer to apply for compensation? A: No. Most of those persons applying for compensation do have an attorney to assist them with the compensation paperwork, but there is no requirement for this. Several Commandos have been approved for payment without any lawyer's involvement. Q: Why were payments halted and when will they resume? A: On March 12, 1998, the Assistant Secretary of Defense (Force Management Policy) halted VCCC payments in order to investigate allegations that an attorney was charging more than the 10% allowed by law for handling compensation claims. The Department of Defense (DoD) has taken the position that this attorney is not entitled to deduct more than 10% from any VCCC compensation payments. In 1996, Congress passed legislation I sponsored with Senator Kerry authorizing payment of up to $40,000 to each Commando deemed eligible by the Secretary of Defense. These payments were intended to be distributed directly to the Commandos, who could then use a portion of the funds to cover attorney fees and other costs associated with receiving their benefit. Regrettably, our 1996 legislation did not fully clarify the relationship between Commandos and their attorneys for the purposes of payments, with the result that payments have been flowing to the Commandos' attorneys for disbursement to their intended recipients. Consequently, our amendment seeks to clarify that the actual disbursement of a payment under our 1996 legislation may be made only to the person eligible for the payment, notwithstanding any agreement, including a power of attorney, to the contrary. It is my hope that this legislation will allow the Commandos to rightfully receive the full payments that are their due. The same attorney who is charging more than 10% filed a lawsuit in the U.S. District Court for the Southern District of Florida to prevent DoD from paying claimants directly in accordance with the new law. The court ruled against DoD on November 4th and on November 23d, the Department of Justice appealed this decision to the U.S. Court of Appeals for the Eleventh Circuit. On April 22, 1999, a three-judge panel from the Court of Appeals dismissed the case against DoD, and remanded the case to the District Court with instructions to dismiss the entire case and all orders entered in it. The attorney who filed the lawsuit had the right to request a rehearing of his case before the entire Court of Appeals, which he did on June 4, 1999. The Court denied the request for rehearing on July 2, 1999, but it was not until August 24, 1999 that the Court of Appeals issued the mandate to the District Court instructing it to dismiss the case. On 17 September, 1999, the District Court judge dismissed the case. The Assistant Secretary of Defense (Force Management Policy) thus authorized payments to eligible claimants to begin on 28 September 1999. With this, the majority of US claimants were paid by check on 26 October 1999. We sincerely regret the delay in paying commandos and other claimants approved for compensation. You fought nobly, underwent tremendous hardships, and you deserve to be paid in timely fashion. Now that the legal proceedings are finished, we will be able to do that. Within the next few weeks, we will be sending letters informing claimants living in Vietnam how they will receive their payment. Q: I've sent my claim in, is the VCCC working on it? A: Although payments were temporarily halted, the VCCC is still working at full capacity to review and approve claims for payment. It typically takes less than 90 days to process a claim for approval once all the required enclosures are sent to the VCCC. If you are represented by an attorney, you should first check with him/her for specifics regarding the status of your claim. Q: How much money can my attorney charge for handling my claim for compensation? A: As noted above, the law regarding this issue is quite clear, regardless of any contracts, no attorney may charge more than 10% of any Commando's compensation. 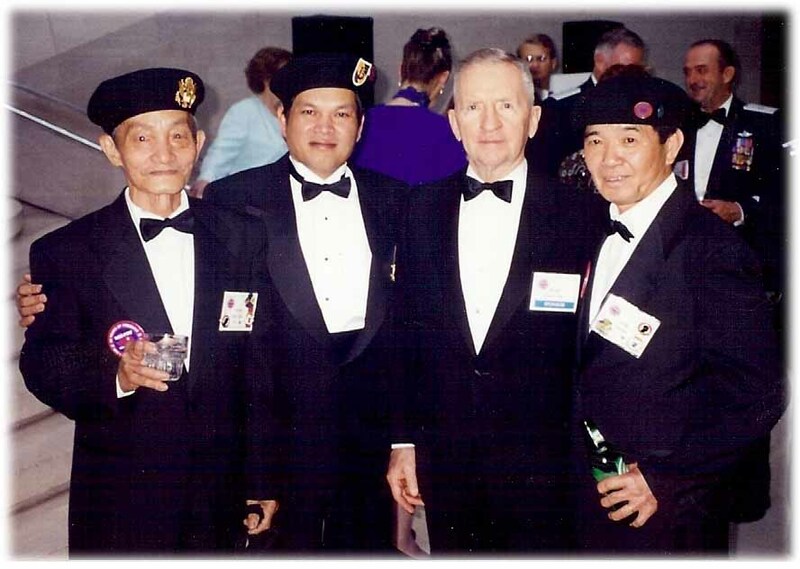 Welcome to the Vietnamese Commandos Compensation Commission (VCCC) Home Page! Check out the latest News and Views below. More about the VCCC, links to other pages useful to Commandos, and a chance to provide feed back to the VCCC are all linked from the top of this page. Click here if you want the latest statistics concerning claims for compensation. The Vietnamese Commando Compensation Support Staff is officially closed on 15 Jan 2001 under the provisions of the 1997 National Defense Authorization Act. All timely submitted claims approved or denied have been officially closed. All remaining compensation funds have been returned to the U.S. Government Treasury. We will no longer accepting applications or inquiries concerning compensation. We would like to thank all of the commandos who assist us with critical information. Without them, the Support Staff could not have accomplish its mission. We also would like to tell all of the applicants that we appreciate their interests in our program. While any service to the United States during the Vietnam War is commendable, unfortunately, the law only allows us to compensate the specified operations, which were mentioned in the law. For us here at the VCCC, it has been a rewarding experience. We take pleasure in knowing that we are able to change many of commandos' lives and also their love ones. If you have any questions about the VCCC, please direct your comments to the VCCC's Chairman at witschoc@pr.osd.mil. The Vietnamese Commandos Compensation Commission (VCCC) has been working with Bank of America (BoA) since last fall to establish procedures for paying eligible claimants who live in Vietnam. $5 million was placed in an interest-bearing trust account with BoA in December 1999, while BoA secured permission from Vietnam Central Bank to make payments. Commandos would have options including receiving funds in Vietnam or directing funds to attorneys or other third parties in the United States. The Central Bank, after tentatively granting approval for the transfer of funds within Vietnam, referred the issue to the Office of the Prime Minister. In May, the Central Bank advised BoA that they would not allow these payments in Vietnam. The Commission had to adopt alternatives that do not involve conducting transfers of funds in Vietnam. We consulted BoA and they will be able to direct funds to attorneys or other third parties in the United States, make payments in other Southeast Asian countries, or indefinitely hold the funds in trust, i.e., strictly out-of-country options. The Office of General Counsel advises that this would still meet the statutory requirements for "direct payments", provided the claimants personally makes the election to direct the funds to the desired account. In August 2000, the VCCC began sending letters to claimants in Vietnam in. The letters provided procedures for claimants in Vietnam on how to direct their funds to any account outside of Vietnam. We have received replies from over 90% of the claimants in Vietnam. Claimants’ funds are currently being transferred to accounts outside of Vietnam. July 2000 Commission results. The commission considered three claims in July. The claims were previously adjudicated. All three claims were denied of compensation. Personal letters announcing the results to each of the claimants have been mailed. For a full update on VCCC statistics click here. April 2000 Commission results. The commission considered two claims in April. Both were approved for compensation. Personal letters announcing the results to each of the claimants have been mailed. January 2000 Commission results. The commission considered two claims this month. Both were denied compensation. Personal letters announcing the results to each of the claimants have been mailed. December 1999 Commission results. Ten (10) claims were reviewed this month. Five (5) of these were approved and five (5) denied. Personal letters announcing the results to each of the claimants have been mailed. October 1999 Commission results. Five more (5) claims were considered for compensation last month, with three (3) of these approved and two (2) denied. Personal letters announcing the results to each of the claimants are being mailed soon. September 1999 Commission results. Four (4) claims were considered for compensation, with one (1) of these approved and three (3) denied. Personal letters announcing the results to each of the claimants are being mailed. For a full update on VCCC statistics click here. August 1999 Commission results. July and August provided 24 more claims to the Commission. Six (6) of these were approved for payment, and 18 were denied compensation. Personal letters announcing the results to each of the claimants are being mailed. June 1999 Commission results. June brought another 54 claims to the Commission. Five (5) of these were approved for payment, and 49 were denied compensation. Personal letters announcing these results to each of the claimants have been mailed. For a full update on VCCC statistics click. For the background on legal issues surrounding compensation of Vietnamese Commandos click here. With regard to the legal update in May (below), the attorney who brought the lawsuit filed an appeal of the three-judge court's decision to all of the appeals court judges on June 4, 1999. As of July 1, 1999, we are still awaiting the decision of the court. May 1999 Commission results. In the month of May the VCCC reviewed 38 applications; all were denied compensation. Personal letters announcing these results to the claimants concerned have already been sent. On April 22nd, a three judge appeals court panel ruled in DoD's favor, and ordered that the case be sent back to the lower court to be dismissed. This means that the lower court's order that DoD must pay the attorney rather than paying the commandos directly has been ruled invalid. This does not mean that the legal proceedings are finished, however. The attorney who brought the lawsuit still has 45 days to appeal the three-judge court's decision to all of the appeals court judges, which is by June 6th. If that appeal is not filed or is denied, the lower court order will be removed, and DoD will then be free to pay the approved commandos or survivors directly, as we had hoped to do from the outset. We will send letters to everybody who is approved when we are ready to begin payments. We're sorry for the continued delay in paying approved claims, but these legal matters are beyond our control. You deserve to be paid as quickly as possible, and we plan to begin paying as soon as we are legally allowed to do so. Of course, we continue to process other claims while we wait for the outcome of the legal proceedings. April 1999 Commission results. It's April and this month the VCCC adjudicated 41 claims for compensation. Ten (10) of the 41 files reviewed were approved for compensation, 31 were denied. Personal letters announcing these results to the claimants concerned are signed and ready for mailing. March 1999 Commission results. In March the VCCC adjudicated another 63 claims for compensation. Nine (9) of these were approved for compensation, 54 were denied. Individual letters announcing these results to the claimants are signed and hitting the mail in the next days. February 1999 Commission results. This month the VCCC adjudicated a record 103 Claims for compensation. Eight (8) of these were approved for compensation, 95 were denied. Letters announcing these results have already been sent to each of the persons concerned. a. January 1999 Commission results. The VCCC adjudicated 55 Claims for compensation in January. Eight (8) of these were approved for compensation, 47 were denied. We'll be sending letters announcing these results very soon. b. December 1998 Commission results. The VCCC adjudicated 67 Claims for compensation in December. 18 of these were approved for compensation, 49 were denied. a. A recent US Congressional amendment which changed the VCCC Rules to allow compensation of parents and siblings of Commandos, is now a part of the Federal Register and will soon be published in the Code of Federal Regulations (CFR). Read the newly released rules by clicking here. b. Update on legal issues. Read the update to our Frequently Asked Questions regarding the various legal issues which have affected payments to commandos. a. November's Commission. The VCCC met to review another 75 Claims for compensation. 22 of these were approved for compensation, 53 were denied. We expect to send letters announcing these results this month. You can access a full update of VCCC's relevant statistics here. b. The official end to the VCCC application window occurred 15 November 1998. We are still working to complete those claims received before the deadline. If you have questions about the closure of the application process you can e-mail us or call our staff at 703-588-6572/73. a. The Report to Congress is now posted! Click here to read a complete public update on the Commando compensation program. b. The official end to the VCCC application process is 15 November 1998. Look through the information contained in this site. If you, or someone you know, were a Commando in either OPPLAN 34A, OP 35 or "Predecessor Operations", and were captured and incarcerated by North Vietnam, you might qualify for compensation. Pay particular attention to the details contained in the bi-lingual application and forward your application immediately to the address provided. c. On 17 October 1998, the 1999 National Defense Authorization Act became law. Part of this new law amends section 657 of our charter legislation from 1997. One amendment added two new categories of eligible claimants. In the case of a commando who was not married when he died (without children), his parents are eligible for compensation. If there is no spouse, child, or parent when the commando died, his siblings by blood are eligible for compensation. Another amendment authorized the Commission to pay eligible claimants directly, despite the existence of a power of attorney directing otherwise. Report to Congress: The report to Congress concerning this Commission is expected late Sep 98. The Chairman of the VCCC distributed the draft to the Commissioners for their review and input. The report includes current status report and brief comments on current issues.